Popular attractions notwithstanding, Osaka is also home to fascinating off-the-beaten destinations, from romantic getaways to child-friendly ones. Explore the city's best-kept secrets and add these lesser-known destinations on your itinerary. Surrounded by mountains, Minami Kawachi is popular among outdoor enthusiasts for its beautiful trails, as well as history buffs for its historic temples like the Enmeiji Temple, which is surrounded by 1,000-year old Yubae trees. 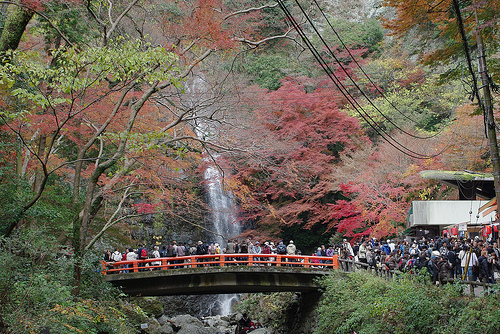 Visitors will also find Konda Hachimangu here, Japan's oldest god of war shrine. Another must-see in Minami Kawachi, the village of Chihayaakasaka features a beautiful countryside with rice paddies, vegetated forests, thatched houses, and weekend morning markets selling fresh local harvests. There are also 300 sakura-fringed burial mounds on site dedicated to the brave heroes of Chihaya Battle. The village is located in the Kongo-zan mountain, about a 20-minute train ride from the Tondabayashi station. 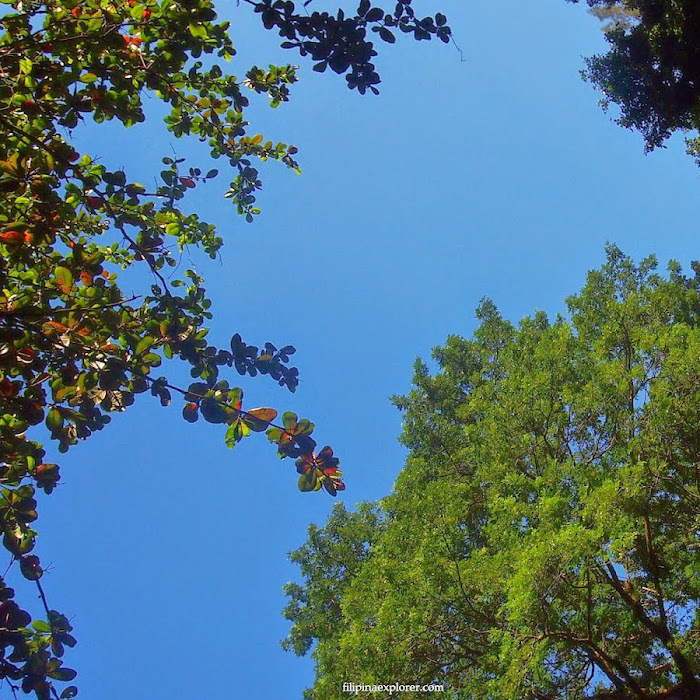 Situated only a few minutes north of the urban center, Mino Park (also spelled Minoo or Minoh) is well-suited for nature lovers. This quasi-national park sits on a forested valley where you can view the 33-meter high Mino Waterfall running through a gorge. From here, visitors can take a hike through woodlands and indigenous insects up to the Mino Mountains, where old sacred temples like Ryuanji Temple rest. View Osaka from atop the 1,125-meter Kongo-zan mountain via the Mt. Kongo ropeway! The ropeway affords hikers a commanding vista of Osaka Bay, Awaji Island, and trees below. During winter, trees transform into a white carpet of snow. The summit can be accessed after a 40-minute walk from the Mt. Kongo Ropeway-mae or Chihaya Ropeway-mae stop. A trip to Japan isn't complete without sushi, and for that, head to Tada in Kitashinchi. This intimate eight-seater restaurant serves some of the freshest, highest-quality sushis in Osaka, while seated across a chef who crafts them on the spot. Visit at night and take your spot on the fourth floor for a romantic view of downtown Umeda. 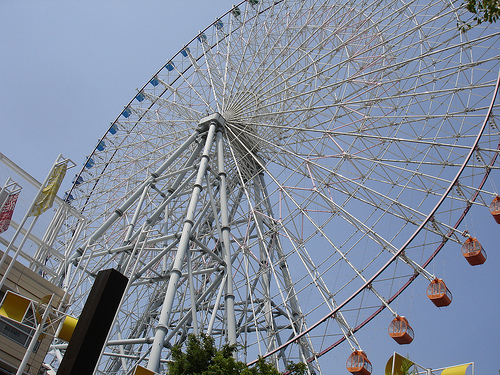 For families traveling with kids, a visit to Osaka's port area should be in order. Here, children enjoy a full complement of activities and attractions that come with a resort complex: Ferris wheels, cruises, and gourmet fare. The highlight of a bay area visit though is the Osaka Aquarium, or Kaiyukan. Kaiyukan hosts a Pacific Ocean tank, home to different fish species, manta rays, and a 5.23-meter long whale shark named Yuchan. Afterwards, hop on the Santa Maria. The boat, designed after Columbus's ship, takes you on a 50-minute cruise around the port. Osaka may be far from Tokyo, but it is a city that has its own pulsating beat. From one-of-a-kind attractions to delectable food, there is never a shortage of experiences that are worth exploring in this economic powerhouse. 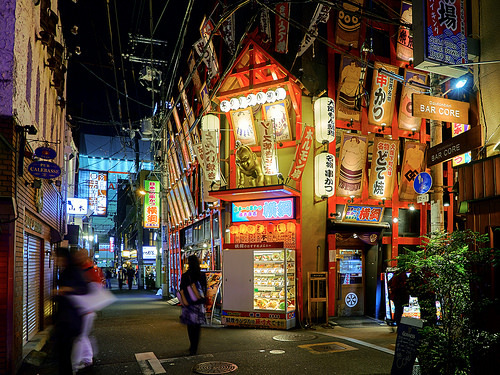 So plan your trip now and come to Osaka to experience the magic of the less-traveled.